I’m headed off to what is becoming a yearly trip to Malibu, California for the 2013 Pepperdine Bible Lectures hosted by Pepperdine University. This year As I always say with my tongue firmly planted in my cheek, it’s a hard life but someone must live it. All kidding aside, the Pepperdine Bible Lectures are always a great time of gathering among Churches of Christ. Besides the great teaching, there is great fellowship as I catch up with many friends and colleagues and the time serves also as a small spiritual retreat for me. As I mentioned last week on my blog, I’ll be teaching a class. 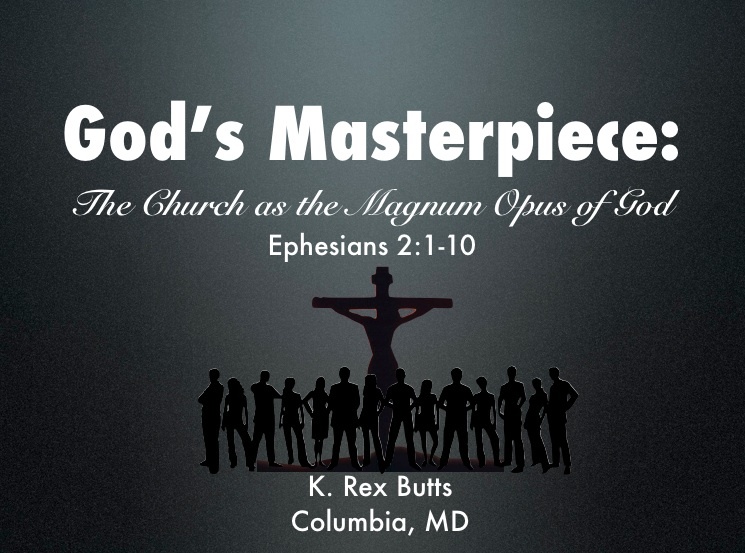 The class is titled God’s Masterpiece: The Church as the Magnum Opus of God. The class will imagine what it means to live as as 21st century church in light of our missional identity and pulse from the text of Ephesians 2:1-10. I’ll approach this subject and biblical text with an awareness that as the church, we are actors within God’s creative-redemptive story that’s centered in Jesus Christ and moving towards the coming of God’s reign. If this interests you, the class will meet on Thursday, May 2nd at 1:30 PM in AC 286. Below is the picture from the first slide on my Keynote presentation. This entry was posted in Churches of Christ, Preaching and Teaching, Scripture, Theology. Bookmark the permalink. Be sure to blog a summary of your presentation for those of us who couldn’t attend. Thanks for presenting for us!